I recently found this pair of homemade, hand sewn, mended/reinforced mittens at the Collector’s Eye in Stratham, New Hampshire. They are probably New England made and worn (?). There are two hands evident in the work; one especially appears as though the maker were just starting out. After thorough inspection, I wondered if they were in fact “practice” mittens? Perhaps they were created as part of a sewing lesson or home economics class sometime during the 1sthalf of the 20thcentury. 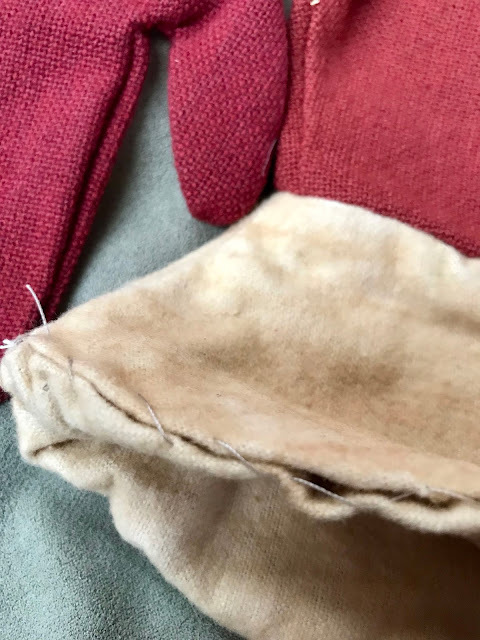 The materials – a rough medium weight cotton and a soft chamois-type of cloth for the cuff—may have come from a larger project or from a fabric stash. Note the awkward shape of thumbs, tops and reinforcement or practice patching. 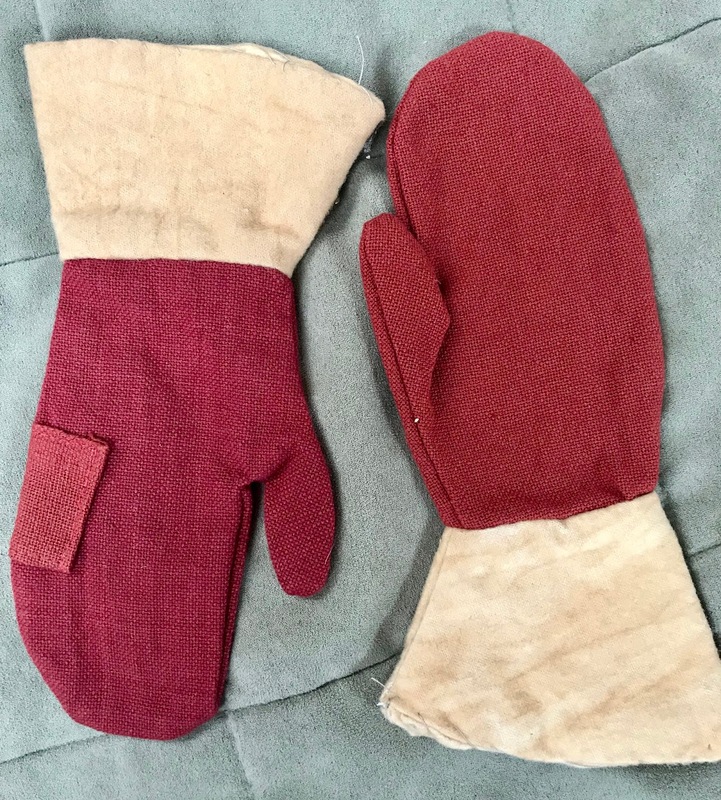 The bodies of the mittens are comprised of rough cotton, with no lining and would not provide much warmth. 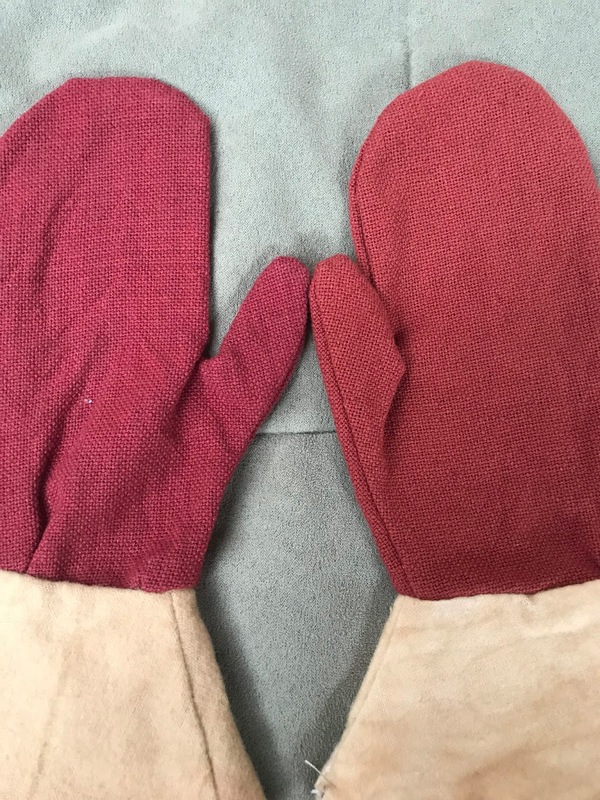 Despite the fact that the design concept exceeds the success of the sewing, I find the mittens both charming and instructive. After all, you have to start somewhere! They are now part of my study collection and I will use them in my Material Culture classes.